I'm out "on assignment" for a few days, and had some problems getting yesterday's post up - so here it is, a few hours late. Let's hope the rest of the week goes better! :) Since I'm not around to get photos of Milwaukee, I pre-shot a bunch over at Miller Park last week. Get over there when there's not a game going on, and walk around and see everything the park has to offer. 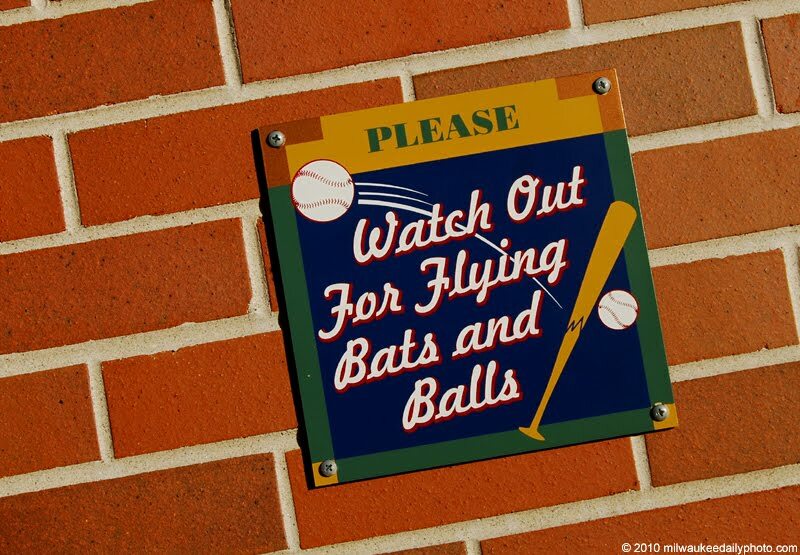 Today's photo is of the warning signs posted around both Miller Park and Helfaer Field. A couple weeks back during the Cubs series, a young fan was struck in the head when the business end of a broken bat found his head. He's ok, and unfortunately still a Cubs fan.